Well, you had to know it was coming. 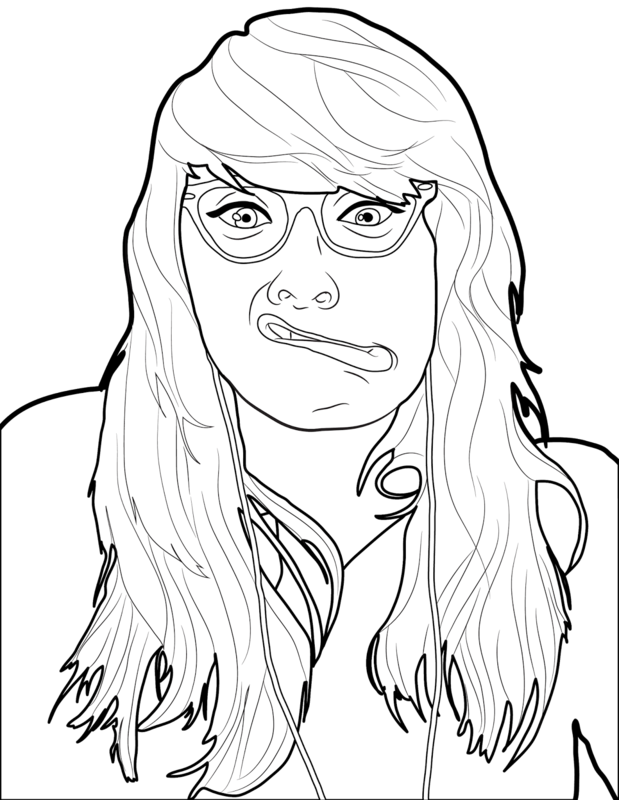 Your Friday coloring page is a drawing of me, the Spinster. Really, this should be a coloring page of Miranda because she's really the only way I made it through this week without eating exactly seven large Marco's Pizzas. Instead I slowly ate one batch of spaghetti. Stop being jealous. It's what spinsters do. I also ate several sticks of colby jack cheese with Miranda's Help. The good news, Spinsters, is that it's Friday. If you wanna eat an entire pizza tonight, you've got all of Saturday to sleep it off. I'll support you. I mean, I won't hold your hair or anything, but I'll support the decision. While you're at it, you'll probably need some ice cream or cake or something. Look on yelp tomorrow morning to find out what the best place for breakfast and/or doughnuts near you is. I highly recommend this. I have yet to be disappointed. Happy Friday to you! I hope your crayons are ready for my face.